I am a bodyguard, When you look at me I am tiny with thin lips & high heels, but you are still looking for a bulky man with big biceps. Why would you still prefer a female bodyguard or a female in security? 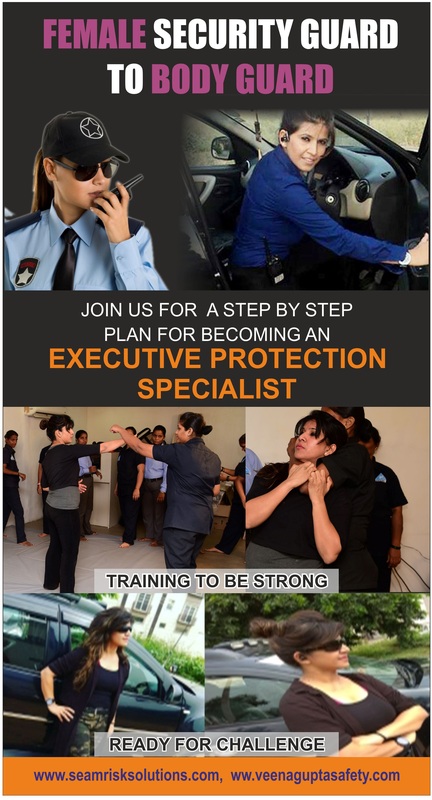 Being a female I blend in with crowds easily, often even go unnoticeable .I feel there is a serious need for the Female protection officers to camouflage in big crowds so that the culprit cannot draft a strategy and the client does not feel suffocated under a big bulky persona. Also since women are more approachable and adaptable the motive becomes resolving conflict rather than drawing attention to the client and putting them at risk. 6th sense, intuition & mental strength come as handy tools in crisis situations, which also make women the master strategists. "There is nothing like only men can protect people; we women can also do the same. We are capable enough to protect ourselves, our family, our society & even men"
Veena handled highly esteemed corporate clients like: Sam Zell ET International, Bell Helicopter, Amway, Western Union, Fair Isaac, Quintiles, Eagle, Adobe, Goggles, Kodak-USA, Wal-Mart-USA, ADP-USA, Lenovo-USA, Net Jets-USA, Adobe-USA, Barclays Bank-Hong Kong, Novelis (Aditya Birla Group)-USA and many more. 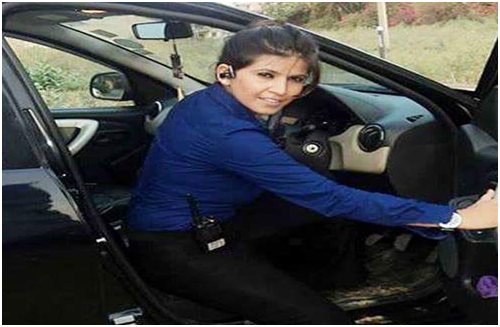 Special assignments handled by “Veena” are Executive Protection including logistics and security for Prince of Hungry along his wife for marriage ceremony of LIZ Hurley and Arun Nayyar in India at Mumbai and Udaipur respectively. If needed Veena Gupta travels with the executive while their stay at the location to ensure that the assignment undertaken and logistics planed is executed seamlessly.